The Three Most Important Words for Oil and Gas Deal Makers: We Just Closed. The headline on the front page of the May 11, 2016, Wall Street Journal suggests a cautionary tale for deal makers in all areas of the oil and gas industry: Oil Bust Squeezes Deal-Maker. It’s a story of “buyer’s remorse” on a $33 billion dollar purchase. an agreement to acquire Williams Cos., a pipeline company based in Tulsa. This deal was announced seven months ago and the well-chronicled volatility in the price of oil and gas apparently made the deal economically challenging, which led to finger-pointing on both sides and a lawsuit filed in Delaware. There are billions of dollars at stake in this “deal-gone-south”, which can provide lessons for independent and private equity backed operators doing deals in these chaotic times for the oil business. Dallas-based attorney, Craig Stokley, a founding member of the firm Palter Stokley Sims PLLC, who specializes in oil and gas litigation and transactional issues, thinks these types of situations can be avoided for smaller independent and private equity operators in the oil field. How? A close connection between those performing due diligence and those striking the deal on behalf of the two parties. Not only is it important that the parties strike a deal they are pleased with, it is equally important that both sides understand the deal the same way– on paper and in their minds. “Time kills deals,” Stokley added. “If an operator is acquiring an asset, whether it involves billions or thousands of dollars, an increasing length of time between striking the deal and closing exponentially increases the chances of the deal ‘blowing up’. Equipment, personal property, fixtures, and improvements such as pumping units, pipelines, gathering systems, salt water disposal wells, water wells, tanks, compression equipment, etc. “With all of these variables, it is very important that legal counsel and deal makers understand what is important when structuring their deal,” he added. 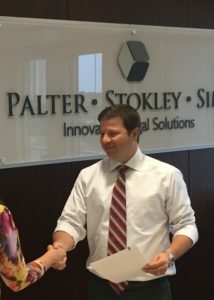 All of the attorneys at Palter Stokley Sims, and Craig Stokley in particular, are readily prepared to litigate issues when deals and business relationships go bad. That is their “bread and butter.” In order to help clients avoid such disputes, Palter Stokley Sims places a premium on due diligence and getting to know the client’s goals. This allows the firm to help its oil and gas clients to invest in opportunities which yield a better return on investment. This puts Stokley’s clients in a better position than their competitors by saving valuable time and resources when compared to the typical independent or private-equity private- equity backed operator whose structure does not justify a full-time in-house counsel. Stokley cautions that the excitement of “getting a deal done” can often obscure reality. While the size of the mega-deals such as the Energy Transfer purchase of Williams pipeline are rare, they provide cautionary lessons for smaller outfits in the energy business. 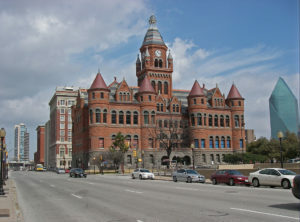 If you are in the energy business and either desire knowledgeable, timely counsel for your deal making, or find yourself in need or a trusted, experienced litigator, the attorneys at Palter Stokley Sims are available to consult with you. Just click here for more information.